Low Impact Fishers of Europe (LIFE) says the proposals will bring ‘dramatic’ changes and will make ‘significant demands’ on small vessel operators. “LIFE would like to see more of a bottom-up approach to implementing the new control regulation, with more carrot and less stick applied to the task of bringing small-scale fishing operations into the regulatory fold,” said the organisation’s Brian O’Riordan. Proposals include a requirement to maintain an electronic logbook, and that catches of each individual species must be weighed when vessels land. Landing of unsorted species will only be allowed if strict conditions are met, including weighing by systems operated or controlled by member state authorities. “This will have implications for many direct sale schemes, where fish is sold from small vessels while still at sea, with catches dispatched to buyers on landing,” says LIFE. There will also be strict new provisions on infringements and sanctions, including a new penalty points system. Also proposed is that all vessels, including under-12m boats, must be fitted with a position-tracking system, and that all under-12m boats must report catches electronically. The Commission also proposes that catches of less than 50kg will have to be reported in logbooks – they are currently exempted. The Commission claims the current exemption could leave up to 350,000t of fish unaccounted for – 6% of presently-reported catches. LIFE urges that electronic reporting must be adapted to the realities of small-scale fishing operations. “Conditions aboard smaller vessels, especially in adverse sea and weather conditions, are, in most cases, not favourable to multi-tasking and manipulations on small devices that require both dexterity and precision,” said Brian O’Riordan. The Commission claims that electronic catch-reporting will not be a problem for small boats due to the introduction of ‘easy and cost-effective reporting systems for fishery data, taking advantage of affordable and widely-available mobile phone technologies’. But LIFE says the industry is a long way from being able to access such electronic reporting systems, and that ‘at present, there does not appear to be an at-sea-vessel-based system that is able to ‘talk’ to the land-based administrative servers’. Without this and the infrastructure to handle the data flows, ‘the regulation is going to be more of a road block than a route map for effective and efficient fisheries management in Europe’, says LIFE. 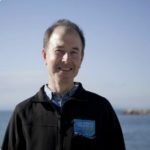 “The proposal is doomed to failure on this aspect unless it adopts a more bottom-up approach to electronic logbooks for small-scale fisheries (SSF), including at-sea trials, training courses, and financial support to SSF operators to install, maintain and use appropriate equipment,” said Brian O’Riordan. LIFE says that operating a mobile device, however affordable or widely available, on a moving platform in often difficult conditions, with a wet and slippery gloved hand, ‘will present quite a challenge to say the least’. It says catch reporting is most easily and effectively carried out once ashore, and probably at the point and/or time of sale. “It is clearly impractical for all vessels to carry weighing scales, even if their operation was possible on a small boat, so this requirement relies on a ‘guesstimate’ of the weight of the various species aboard prior to landing,” said Brian O’Riordan. LIFE questions what value ‘at sea’ reporting could bring to the regulator – and what kind of hardware is proposed to enable SSF operators to log their catch data. LIFE asks where the infrastructure to implement electronic reporting is going to come from, and who will pay for handling ‘the sheer volume of data relating to individual vessel movements, gear loss, catch reporting and subsequent landings declarations’. LIFE points out that mobile technology has improved ‘by leaps and bounds’ in recent years and that small-scale fishermen have used their ingenuity to apply it to their needs, be it for safety at sea, accessing web-based data, running their businesses, or communicating with markets. It says realistic targets and deadlines need to be set when implementing the new control regulation, as well as a flexible bottom-up approach. There also need to be standardised minimum levels of fines for infringements of the regulations. LIFE is also concerned that, due to the difficulties for small vessels in complying with new reporting requirements, the smallest vessel operations may be unfairly criminalised. 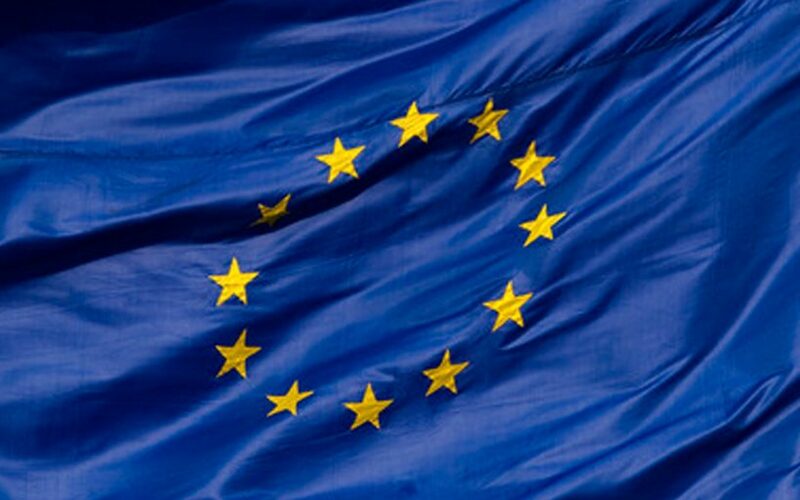 European fishermen’s organisation Europêche says the new control regulation will impose ‘extensive bureaucratic and economic burdens’ on the industry. It warns that the Commission is using the control regulation and enforcement as a way to ensure the landing obligation/discards ban works, and that this is a mistake. Europêche president Javier Garat said one of the most controversial proposals is the mandatory use of CCTV cameras onboard to control the landing obligation. He said Europêche backs the use of remote electronic monitoring (REM) tools, as well as raising legal standards. But they should be introduced either on a voluntary basis and linked to an incentive, or made compulsory for vessels with ‘a high profile of non-compliance’, on a temporary basis. However, there should be ‘compelling reasons’ for the extensive coverage of vessels with CCTV that the Commission wants, since ‘work performance, business confidentiality and privacy rights may be jeopardised’. Europêche questions whether this is the path to take towards controlling the landing obligation, and is concerned that its implementation could be too rapid to allow a full understanding of all the implications. Javier Garat said the landing obligation/discards ban in its current form ‘is neither implementable nor enforceable’, and that focusing predominantly on compliance by monitoring and enforcement ‘will not in itself deliver a workable landing obligation’. Europêche said that if electronic tracking and catch-reporting systems were to be introduced for under-12m vessels, they must be easy to install, user-friendly and cost-effective, and not ‘overly complex and burdensome for small vessels and, particularly, for undecked boats’. 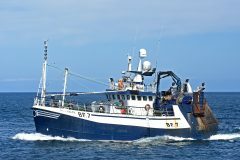 The organisation also questions the Commission’s proposal that certain vessels using ‘active’ fishing gear, such as trawls, must be equipped with engine power recording and monitoring equipment. 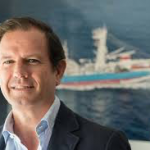 Javier Garat said Europêche has repeatedly stated that gross tonnage (GT) and engine power (kW) measurements ‘are not the right parameters for all fishing fleets for expressing and measuring fishing pressure’. “Defining and limiting fishing capacity only by these two variables often blocks much-needed investments in improving the safety and working conditions onboard,” he said. He said that Europêche welcomes the Commission’s proposal to include recreational fisheries in the control regulation. Their activities to date had been ‘largely uncontrolled and unaccounted for’. Logbooks will have a trip identifier (for traceability), and the exemption from reporting catches under 50kg is deleted. The margin of tolerance will be 10% except for small quantities, under 30kg, when it will be 20%. The definition of Fishing Restricted Areas is to be broadened beyond EU-designated areas to include member states as well as outside EU waters.